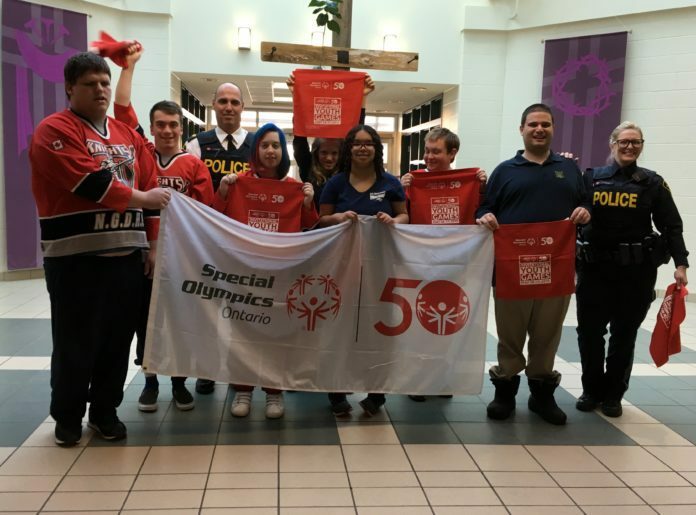 The North Grenville detachment of the Ontario Provincial Police (OPP) held a flag-raising ceremony at St. Michael Catholic High School last Monday to celebrate 50 years of the Special Olympics. The OPP have been proud supporters of the Special Olympics Ontario for many years. Their biggest fundraiser, the Law Enforcement Torch Run, has raised more than $35,000,000 for the Special Olympics since its inception in the early 1980s. Monday, March 25, marked Special Olympics Day across the province, with 50 law enforcement agencies holding ceremonies to celebrate the day and honour all of Ontario’s Special Olympians and their supporters. Special Olympians across Ontario are looking for support to help them achieve their goal of participating in this year’s Youth Games. Special Olympics Ontario is hoping to raise $50,000, which will send roughly 50 athletes to the games. 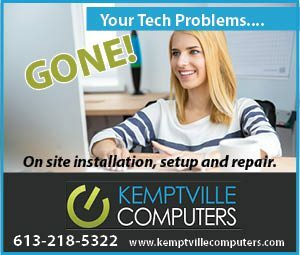 To find out how you can help draft a Special Olympian, visit the Youth Games website at www.youthgames2019.com/draft.